An F Class Open rifle may be of any calibre up to and including 8mm. The overall weight must not exceed 10kg including all attachments. 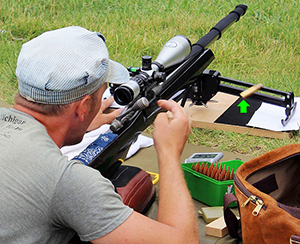 An article by Vince Bottomley from Target Shooter Magazine to provide information to F Class shooters starting the journey into F Class shooting. Covers Rifles, Cartridges, Scopes and Bipods. of the models of scopes that are used in F Class. This is an excellent training document designed for the new shooter, authored by Rod Dolman. The information contained has value for all F Class members. In this story, Jay describes his F-TR rifle and set-up.